•American Airlines Arena (Biscayne Blvd. at 8th St). 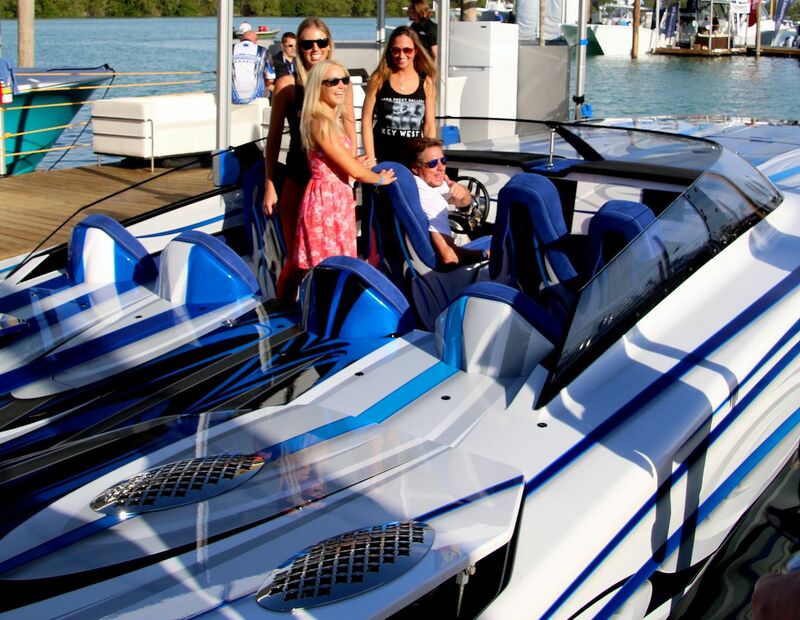 PLEASE NOTE: Water taxis drop riders at a direct show entrance with no box office; therefore you must present a printed ticket or a ticket on your mobile device to board a water taxi. Exhibitors, vendors, media and sponsors must have a credential. •Brightline MiamiCentral parking garage (161 NW 6 St.
New! Shuttle bus service is also available between the Progressive Insurance Miami International Boat Show and the Miami Yacht Show (One Herald Plaza). Show admission tickets are not required to board a shuttle bus. When the 78th annual Miami International Boat Show sails into the former Miami Marine Stadium on Virginia Key Feb. 14, following in its wake will be $53 million in spending by more than 136,000 domestic and international visitors who will generate at least 100,000 hotel room nights during the show’s four-day run, promoters say. In addition, they told directors of Miami’s Downtown Development Authority last month, the show supports 5,700 full-time jobs across the state and generates $60 million in sales tax revenues, according to a document produced by show promoters. 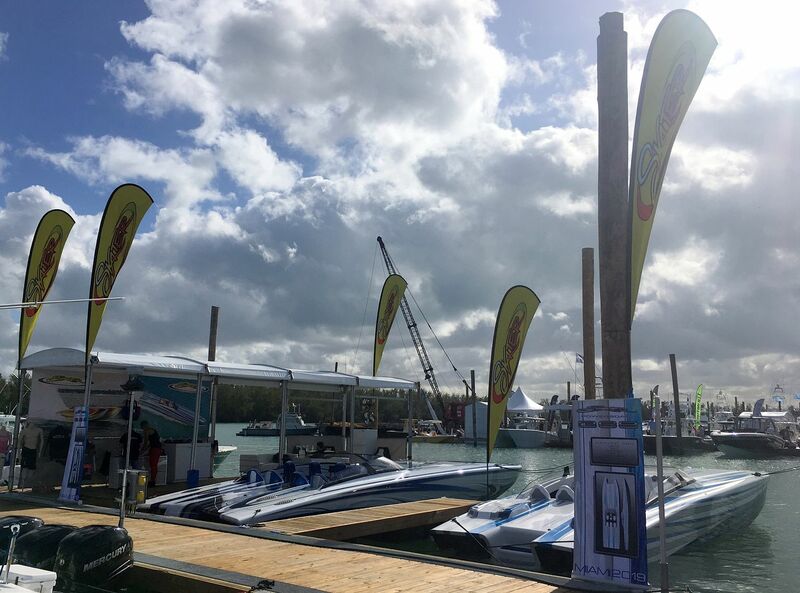 Cathy Rick-Joule, a show spokesperson, told the downtown authority that the show generates almost $1 billion in direct and indirect sales because most buyers purchase boats at the show or as a result of the show. Florida exhibitors sell about $350 million in marine products at the show each year, she said. 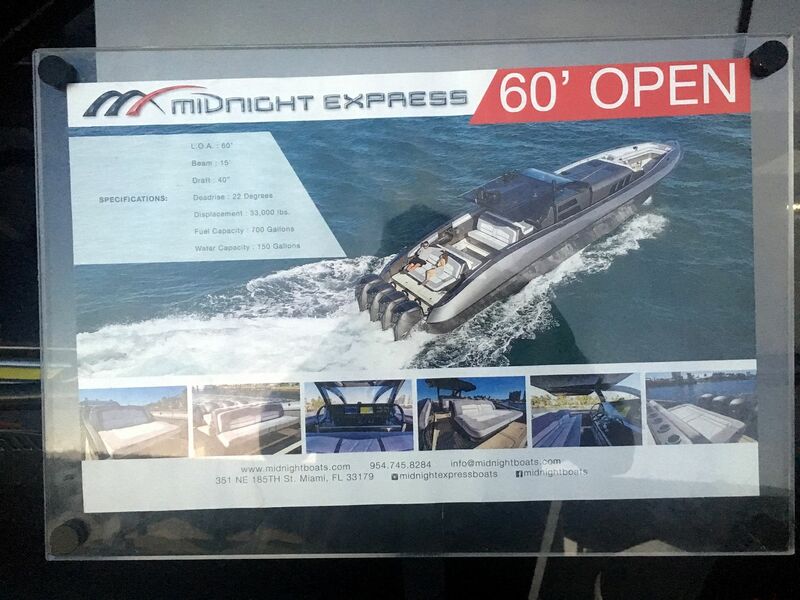 To minimize disruption to nearby Key Biscayne, the boat show is bringing in a fleet of water taxis from Fort Lauderdale, which are expected to complete about 49,000 trips from pick-up sites, Ms. Rick-Joule told authority directors. There will also be park-and-ride shuttle buses to transport guests, she added. Permanent water taxis would help, Ms. Rick-Joule said. “As the Marine Stadium gets redeveloped, how in tune are you?” asked Ken Russell, authority chair and Miami commissioner. 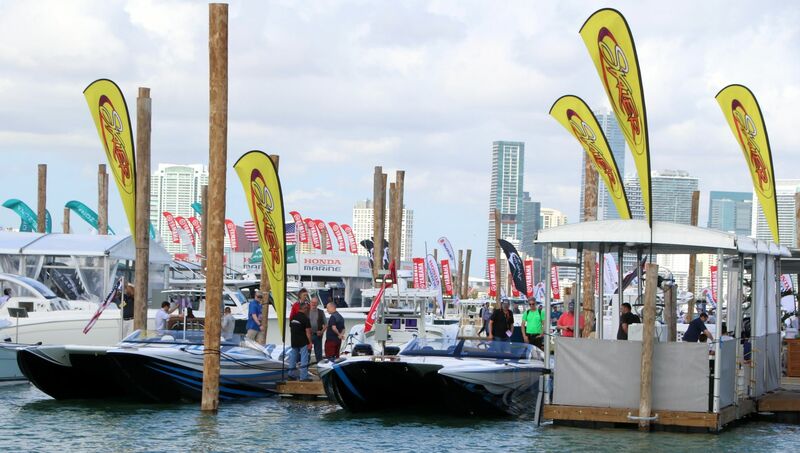 After 400,000 hours of planning, the 78th annual Miami International Boat Show will shift into gear Thursday, Feb. 14 at the Miami Marine Stadium. The five-day event is expected to inject $850 million into the Florida economy and attract more than 100,000 attendees. It's where 1,000 marine businesses — hundreds of which have operations in South Florida — are expected to ink $60 million in deals, according to organizers. 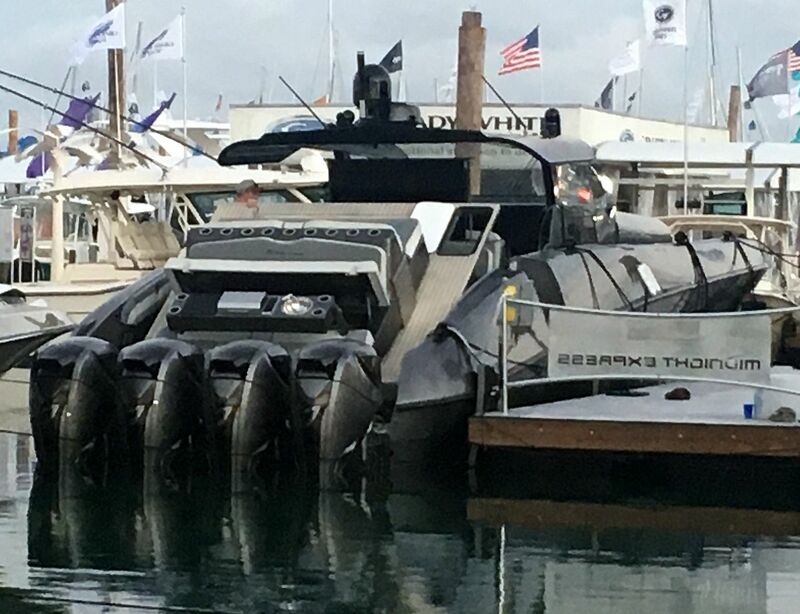 "There were a lot of doubters when we were going to move," said National Marine Manufacturers Association (NMMA) VP of Southern Shows Larry K. Berryman, who has been working with the Miami show for 20 years. 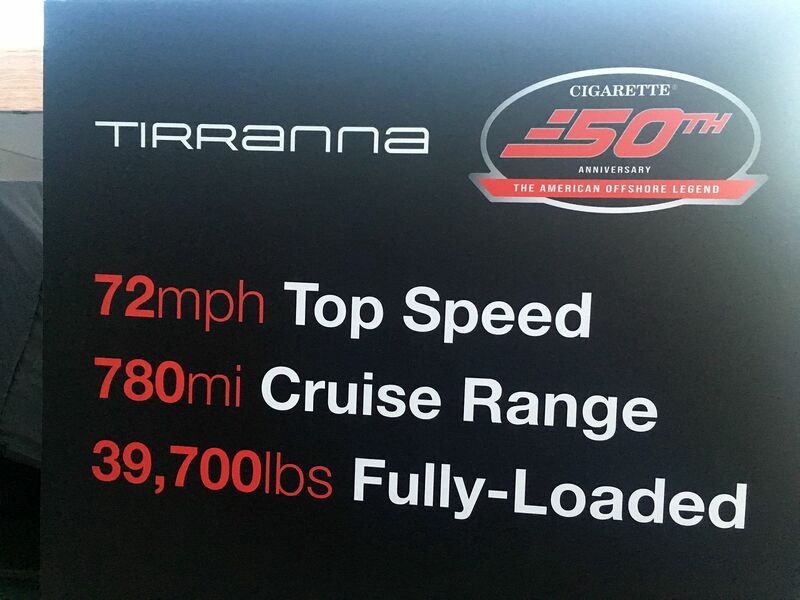 "It's exceeded everyone's expectations." The Miami boat show, with about 1,400 boats on display, relocated from Miami Beach to the Miami Marine Stadium on Virginia Key in 2016. 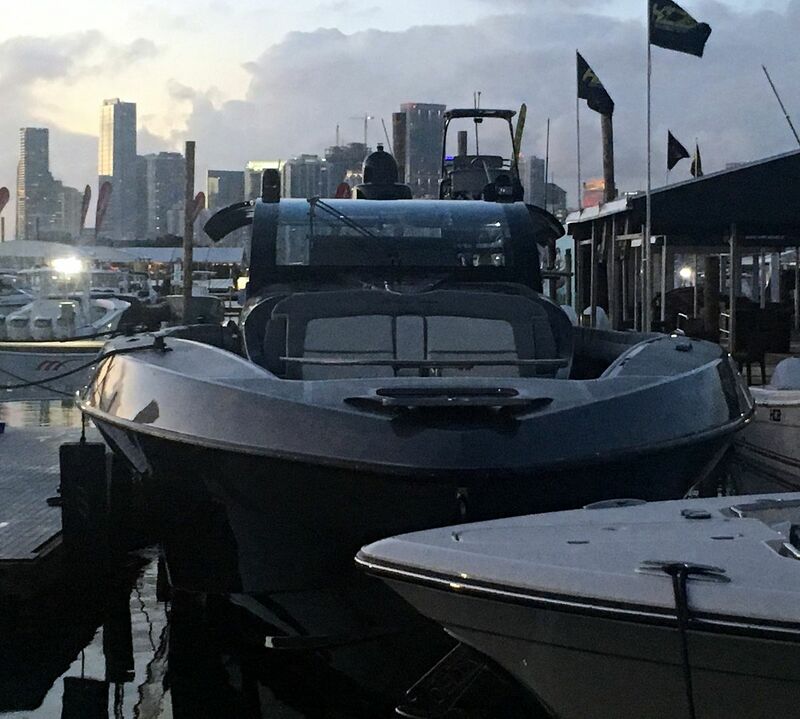 The show has since grown from its number of boats in the marina (from 440 to 700), to its number of seats in its dining area (from about 800 to 2,200). This year, the show will have added dining options, a new entrance and more ways to get to the show. NMMA expects to transport 25,000 people to the event in water taxis through Feb. 18. Members of the media received a preview of the show site on Friday with Miami Mayor Francis Suarez in attendance. "The impact is immeasurable," Suraez said. "From the thousands of jobs it provides to the city, to people coming from all over the world — and some deciding not to leave. Any show that builds our brand is a show that's good for us. Every year they do it better." 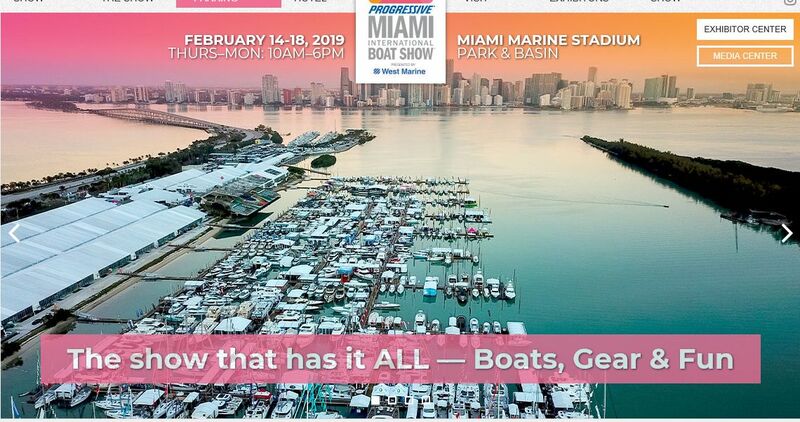 The 2019 Miami International Boat Show will run on the same days as the 31st Miami Yacht Show at 1 Herald Plaza in downtown Miami, organized by Informa Exhibitions. The tickets to both shows are sold for a combined price on their websites. 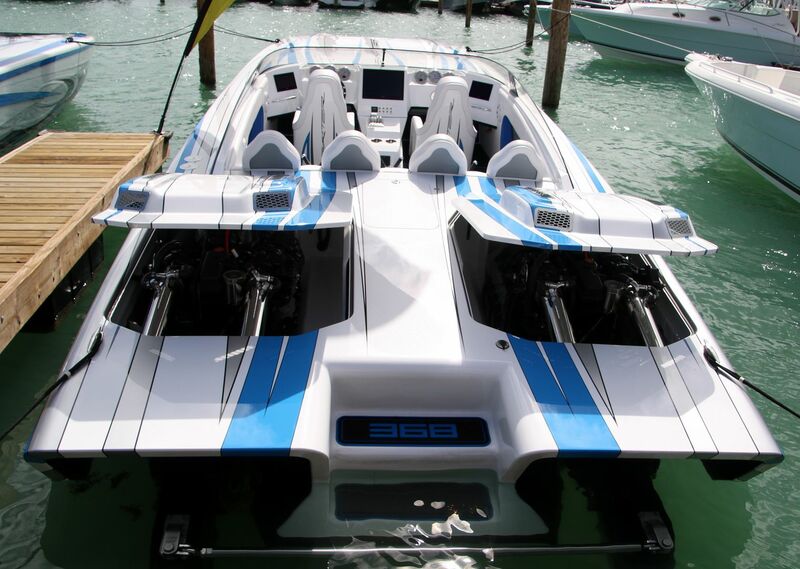 The Miami boat show is among the largest in-water boat shows in the world, along with other major boat shows in our our region: The Fort Lauderdale International Boat Show and the Palm Beach International Boat Show. 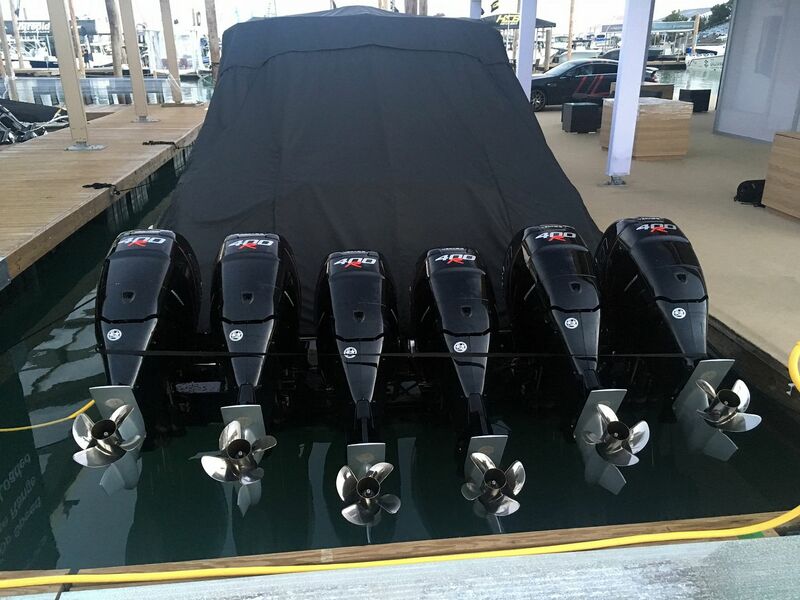 South Florida's marine industry has an overall economic impact of $12 billion, according to a recent study byThomas J. Murray and Associates. 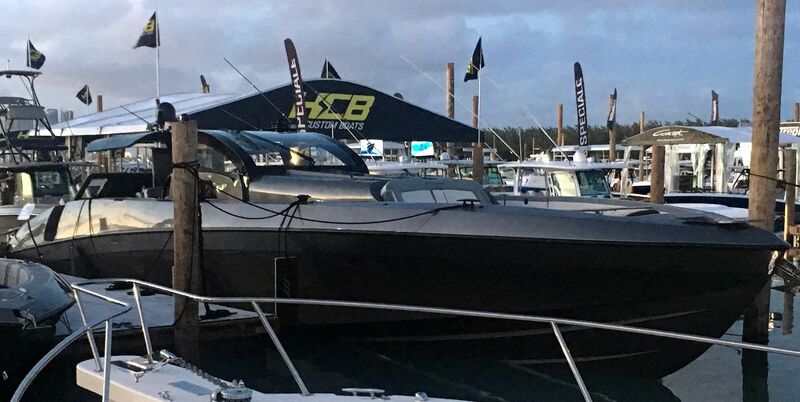 Apart from a single image teased on social media, no details have dropped on what the Florida-based boatbuilder has in store for Miami. 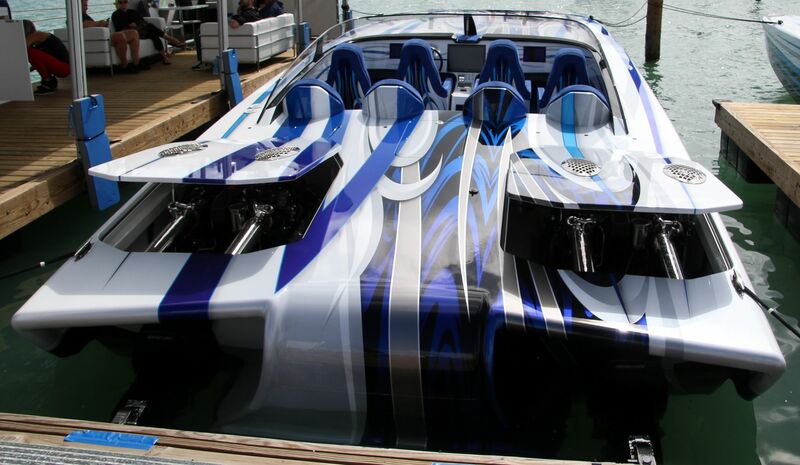 The teaser image shows the silhouette of a hard-topped centre console that is long and low, and potentially filling a future role as the brand’s biggest flagship day boat – stretching beyond the current 56-foot limit. Rained almost non-stop all day yesterday. They had a lot of setup to finish because of that when we left there at 8 last night. So do we this morning. Skater, Pier 4, Slips 478 and 480!! Busy show. Today's probably going to be the busiest. We'll see.